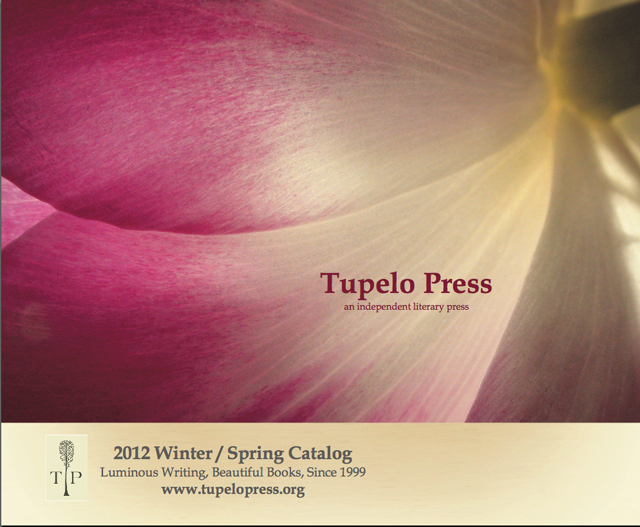 I’m flattered that Tupelo Press chose this image for the cover for this book of beautiful poems. Not only that, but there are other books in the winter spring catalog using my photos too. As a photographer, I usually don’t mess with the orientation of images, and I only crop if it really helps. But I also like to support creative designers. In this case I’m glad the designer took liberties with the orientation of the image. My original is here. He rotated my horizontal by 90 degrees clockwise and fit the text into the curve. Success! 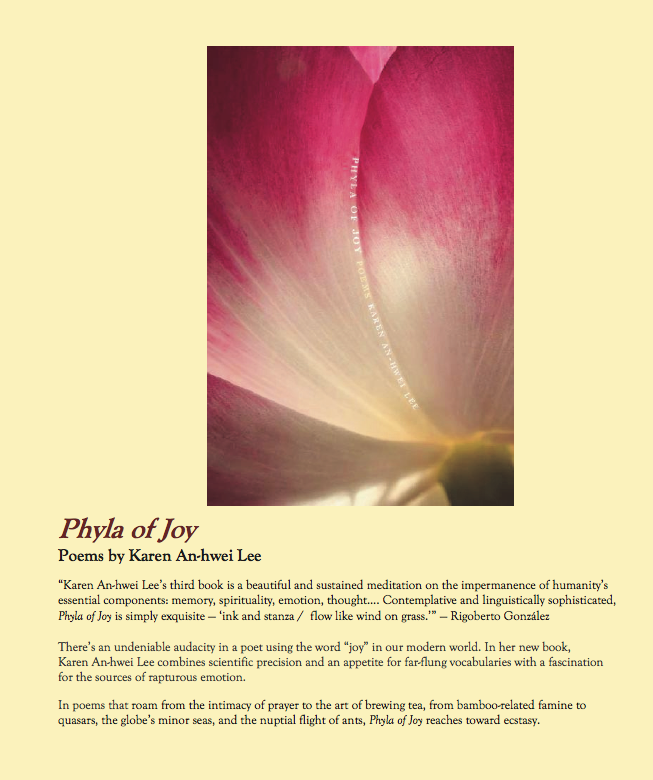 This entry was posted in Book Cover, Flowers, iPad on February 9, 2012 by john lehet. John, one small correction — the designer of the book cover is a “he” (Howard Klein); the designer of the catalog is a she — Rose Carlson. I love how you’ve noted this collaboration here. AFTER URGENCY, with your Kee Beach trees, is now out, too. Copies are on the way. The printing of the image could be better, surely, but we’re a commercial publisher, after all. And I love the way the designer (Bill Kuch) wrapped the photo around the book’s spine.